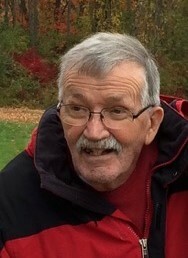 Eric Anderson, age 82, a former longtime resident of Pleasant Mount, PA, peacefully passed away on November 26, 2018 in Dracut, MA. He was the husband of the late Lois E. (Stiles) Anderson. Born in Nampnas, Finland on September 1, 1936, he was a son of the late Gustav Anderson and Elin Nordlund, (Poppy and Mommo). He and his mother and two siblings came to the United States in 1951, when he was 15 years old. He became a Naturalized Citizen in 1956. Eric was a U.S. Army veteran having served from 1959 until his honorable discharge in 1962. Prior to his retirement, he worked for himself as independent contractor for many years and later in the maintenance division for the North-Eastern Pennsylvania Telephone Company where he retired from. Eric enjoyed the outdoors, wood working, watching wildlife out his back door, Cross Country and Downhill Skiing but his true love was the time spent with his family, especially his grandchildren. He was a Past Master Mason of the Mount Herman Lodge 0472 of Union Dale PA. He was also actively involved in his community as a volunteer firefighter and in his church Pleasant Mount United Methodist Church. Eric is preceded in death by his son, Stig Eric Anderson and survived by three daughters and two sons in law, Linda and Rick McElhinney of Dracut, MA, Kimberly and Tony Santillo of Manhattan, NY and Crystal Lea Anderson and her fiance’ Billy Moore of Belews Creek, NC; four grandchildren, StigErik, Keirsten and Logan McElhinney and Michael Santillo; a sister, Anita Bergman (Bubba’s wife) of Pleasant Mount, PA, a brother and sister in law, Carl and Marsha Anderson of Pleasant Mount, PA; also nieces, nephews and friends. Relatives and friends will be received at the Bryant Funeral Home 1228 Main St., Honesdale on Friday, Nov. 30 from 5 to 7 p.m. Masonic Services will be 6:30 - 6:45. A Spring burial will take place in Wheeler Hill Cemetery. A celebration of Life service will be held at Calvary Chapel Chelmsford in Massachusetts on Dec. 16, 2018 at 3:00. In lieu of flowers donations can be made to the Pleasant Mount Methodist Church in Pleasant Mount, PA.